PROMASTER SECURITY offers home surveillance systems and services featuring the latest technology and quality installation you can count on. 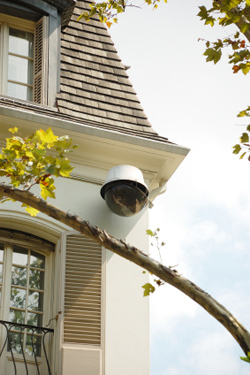 Whether you are protecting a home and family or a vacation property, our security experts will help with selecting the right surveillance system and features such as wireless installation and remote viewing of video. A security installation specialist can determine the most effective video surveillance system and best placement of cameras, hardware and recording devices to complete security and monitoring of your property. Our full range of surveillance systems, alarms, video recording, sensors and wiring solutions will help you protect your property at all times. The selection of the proper system and placement of equipment provides surveillance as discreetly or as prominently as you would like. Digital video recording systems are also a secure and effective addition to already existing alarm or security systems in place. Promaster Security Group will provide you with surveillance system consultant that has experience and knowledge security system installation. Our experts will also help you select the right surveillance system for you based on your property layout and requirements. At installation our security specialist will walk through your security concerns and even help determine any weaknesses in your current or existing security systems that can be covered with the addition of the proper equipment.